1. Not a single ray of sun is required for skin damage to occur; UVA rays are out in force every day, every season. 2. Products containing retinol, liquid exfoliants (AHAs/ BHAs) and hyper-pigmentation serums leave skin particularly vulnerable to UV damage. While among my favourites, they must be paired with SPF30+. 3. Sunscreen doesn’t only protect against skin cancer, it’s also the most powerful anti-aging product out there. A final coat of skincare armour that’s not worth skipping. These three in particular stand out for me. Each one feels luxurious to apply and sits beautifully on my skin (with or without makeup), while providing broad spectrum protection. This mineral-based moisturiser with SPF30 has a nourishing yet light, whipped-mousse texture and leaves a radiant sheen on the skin. 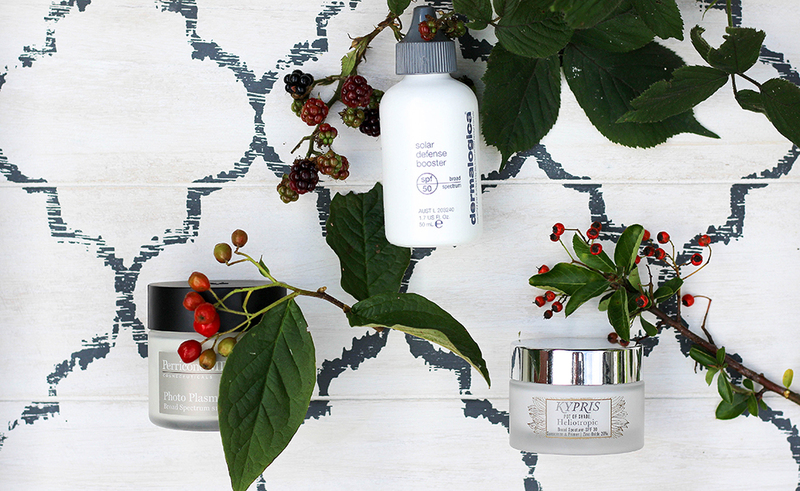 A sophisticated organic primer, packed with botanicals to plump, hydrate and add luminosity while protecting skin with SPF30. Apply this silky cream over moisturiser as the perfect base for makeup. Use alone or add a few drops to your regular serum, moisturiser or foundation for instant protection from UV damage. Couldn’t be easier or more foolproof. P.S. Photography and text by Nicola at Strawberry Blonde Beauty. This article first appeared in Issue 13.